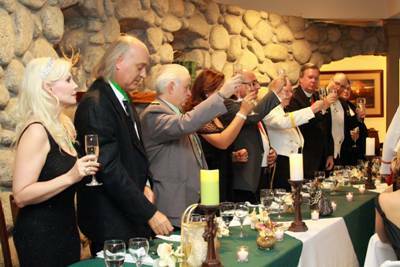 The second annual investiture of the Grand Priory of the United States was held on the 21st of September in Idyllwild, California, a beautiful, sleepy California mountain town which served ideally the purpose of congregating the US members of the Order and also to conduct the investiture without the sticky heat of other parts of California. It was indeed a great turnout for this second investiture with the investiture service held at the packed Catholic Church of the Queen of Angels. The main hotels and other guesthouses in the area were full with Lazarites from all over the States and it was indeed a great week for the local community to mix and mingle with our members and also benefit from a number of donations to the charity organisations of Idyllwild. 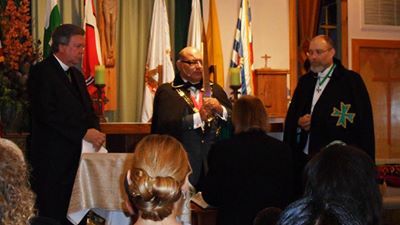 The investiture service was conducted by the Grand Chancellor of the Order, aided by the Grand Prior of the United States, His Grace Bishop Thomas Mount and the Chancellor of the Grand Priory, the Honorable Judge Benjamin Zvenia. 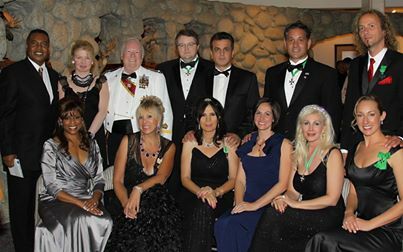 the logistics and coordination of the investiture service and related events were in the hands of the Secretary General of the US Grand Priory, Dame Karen Cantrell, who again made a spectacular job. 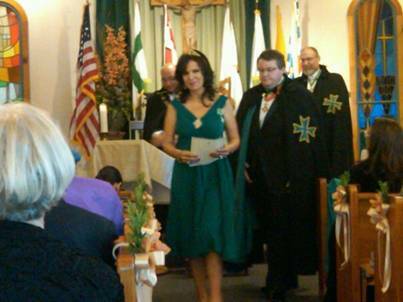 During the investiture, various new Commanderies working in various States within the US were consecrated and a record amount of postulants were received into the US Grand Priory. The investiture service was indeed a great success and one needs to note the presence of a number of military and fire-fighting officers who were present and joined the Order during this investiture. One must also note the presence of a particular postulant who joined the Order during this investiture, namely Pastor James Flying Eagle Mooney, one of the founders and leaders of the Native American Church, who assured the congregation of his commitment to recruit additional key elements of the Native American population who are particularly active in the philanthropic world. A working session with all the US State Commanders of the Order was also conducted during the week in question and the strategy of growth and Hospitaller work of the Order in the US was agreed to under the watchful presence of the Grand Chancellor. 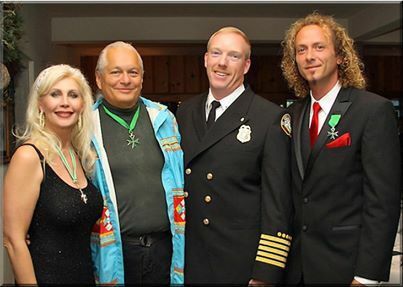 The Idyllwild Fire Fighters were also featured during this week, with an alliance agreement set up and donations from the US Grand Priory being given so as to ensure the purchase of new equipment. 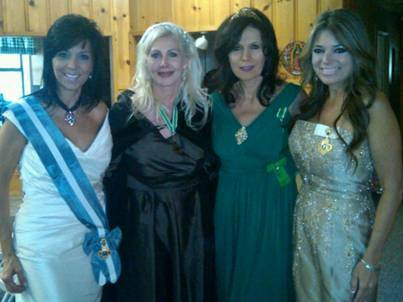 A further donation to the church of the Queen of Angels was also given. 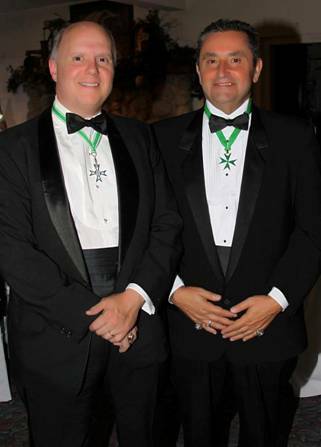 The investiture dinner saw an impromptu auction raising thousands of dollars to go to worthy Hospitaller causes. Yet again, all the postulants who joined the Order during this investiture were given The President's Award certificate and accompanying letter signed by President Obama himself, naturally given for their Hospitaller and community work.